Volkswagen recently promoted the Ski Team SUV in Sweden with The Migrator Bird, an integrated advertising campaign featuring a migrating osprey. The winter makes Sweden a harsh place to live. Swedes know winter is close when they see the birds migrating south. But for those who have to stay in Sweden, Volkswagen has equipped the Ski Team with 4Motion four wheel drive, car heater and roof box, along with an affordable offer. 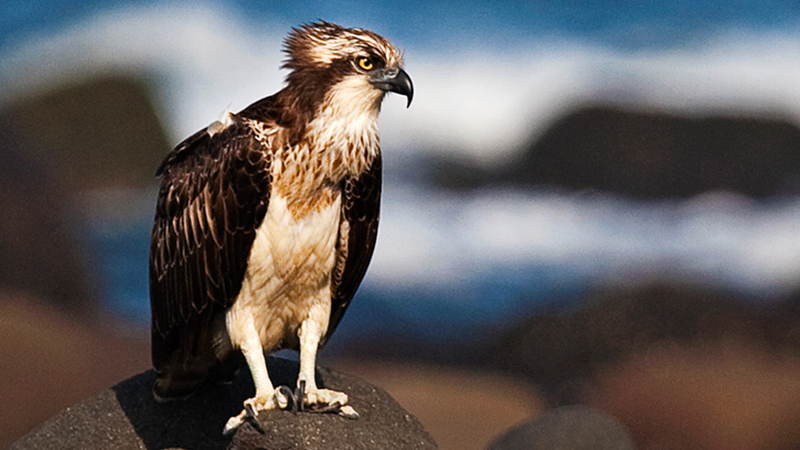 Working with the University in Lund Volkswagen used GPS to live-track an osprey bird during its winter migration to the southern hemisphere and back. Television commercials, print ads, outdoor and banners led customers to the campaign site where they could follow the migrating bird, read his comments on @vwflyttfageln (it’s a bird, why wouldn’t it tweet?! ), learn more about the offer and the 4MOTION cars as well as guess the return date for a chance to win prizes. 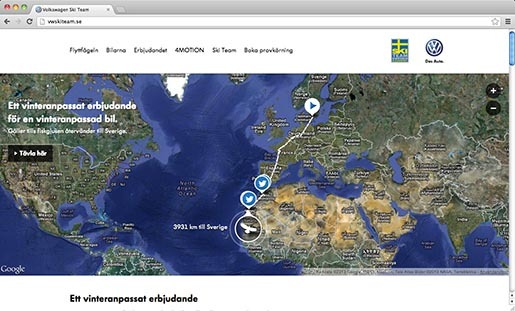 The Migrator Bird campaign was developed at DDB Stockholm by creative directors Fredrik Simonsson and Magnus Jakobsson, art director Joel Ekstrand, copywriter Nick Christiansen, art director Lennart Claesson, copywriter Stefan Gustafsson, business director Jenny Kaiser, account director Peter Grönlund, agency producer Katarina Mohlin, designer Martin Runfors and web developer Koji Wakayama.